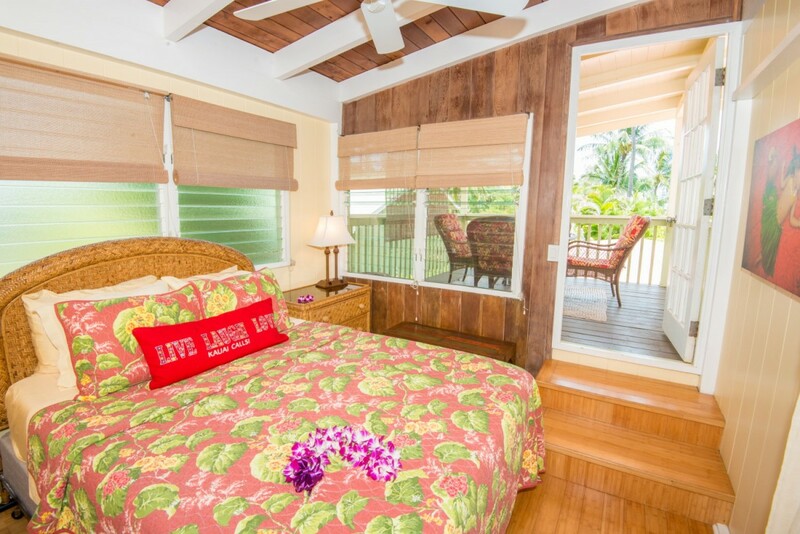 Wailua Riverside Tree Top Cottage! 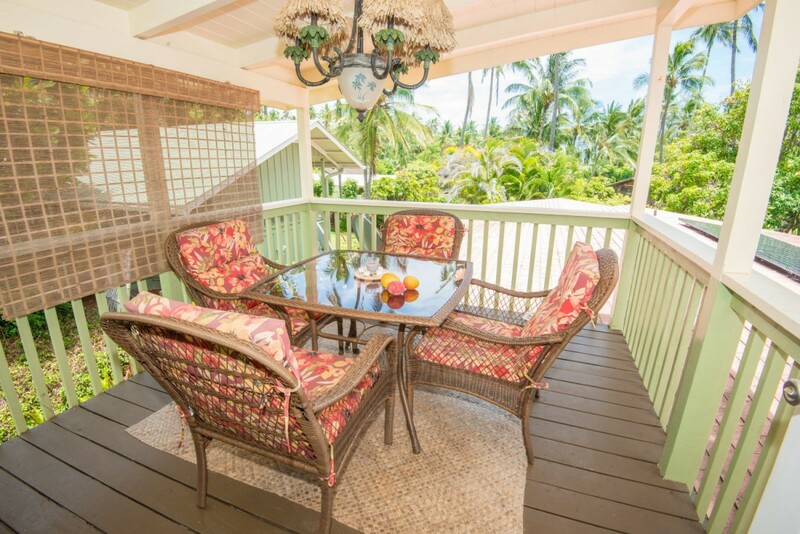 This is a perfect place to experience the real Kauai in a residential setting with views of the Wailua River and one block from Wailua Beach. 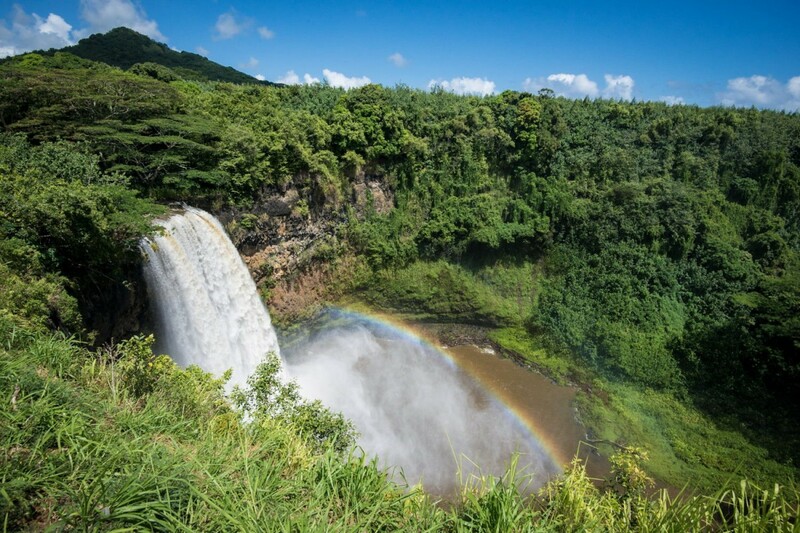 Wailua Riverside Cottage, a perfect place to experience the real Kauai in a residential setting with peak views of the Wailua River and located a block from Wailua Beach made famous by Elvis Presley starring in the movie Blue Hawaii when he and his New Bride rode horses on Wailua Beach! 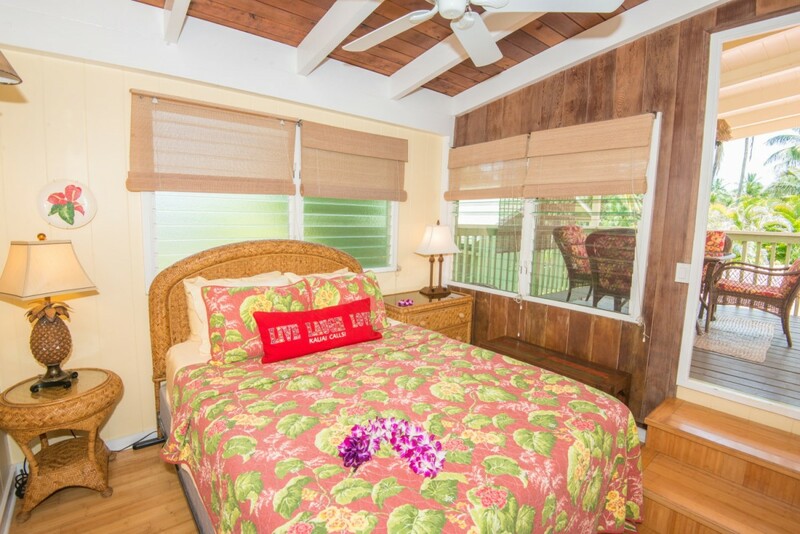 Wailua Riverside is a tree top cottage, furnished Hawaiiana style, fully equipped kitchen, master bedroom with a new memory foam queen bed, den with TV and DVD player and a new full size sofa sleeper; as well as, a covered lanai offering outdoor dining. Wailua Beach is a block away and the sound of ocean waves hitting the beach will lull you to sleep each night. 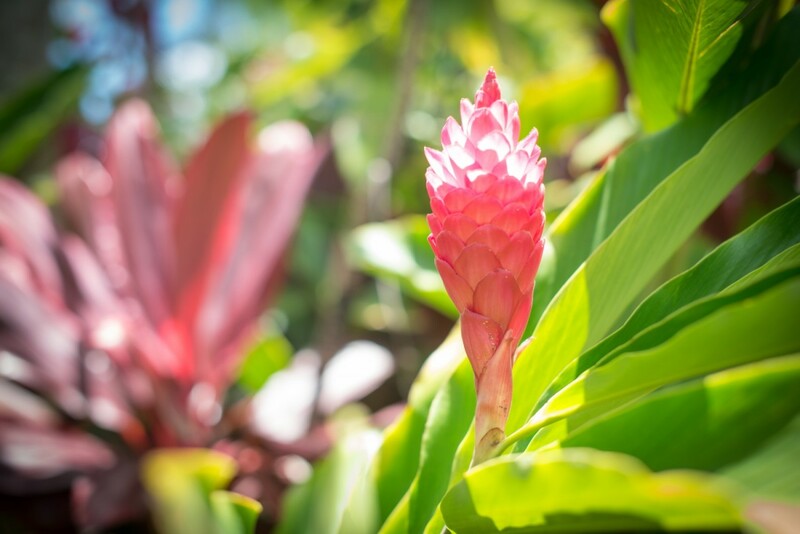 From your bed or lanai, watch as breathtakingly beautiful pink skies form through swaying coconut trees at sunrise. All fully equipped, you can take them right off the dock just steps from the Hideaway. *Value: $80-$100 per couple. 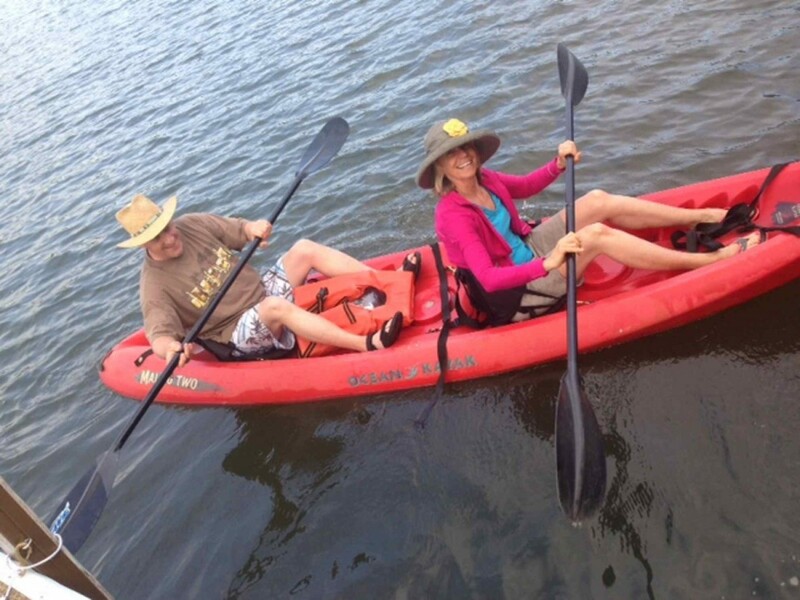 Note: A new double kayak was purchased April 2019 an orange/yellow kayak, a Lifetime Spitfire Tandem Kayak. Amenities: satellite TV, DVD player and VCR, linens, washer / dryer, gas BBQ grill, beach gear including snorkels, fins, boogie boards, beach chairs, coolers, beach towels. An added bonus is air conditioning, making a vacation in the warmer months more enjoyable. 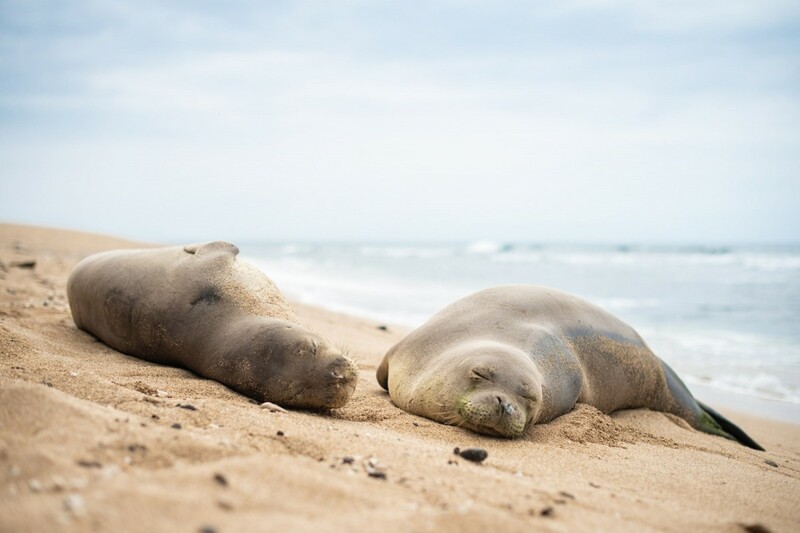 Located at the Sacred Wailua River, where only the ancient Hawaiian Royalty were allowed to visit, Wailua Riverside is a two minute walk to an awesome eight-mile shoreline of uncrowded, sandy beaches. 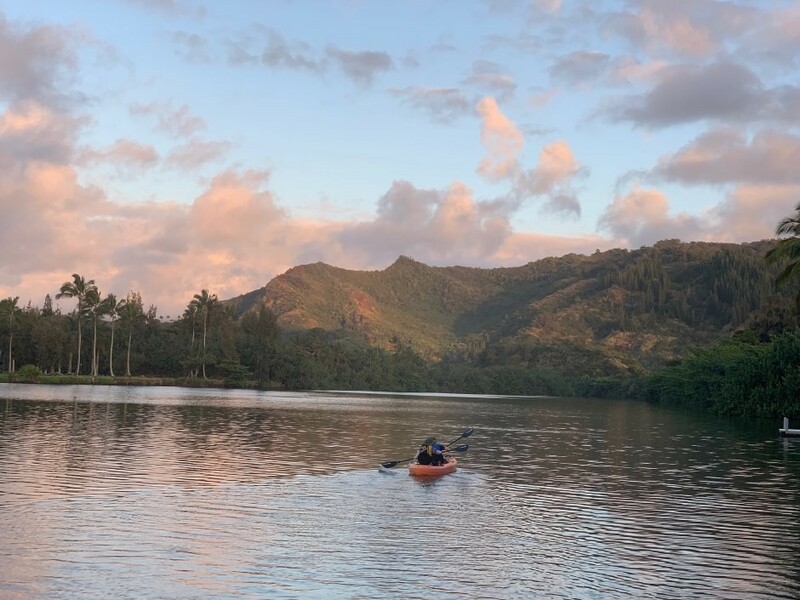 You are steps from a dock where you can launch your own kayak unto the Wailua River to explore and find the trail to Secret Waterfalls, one the top 10 things to do on Kauai. Water skiing, Wakeboarding, and Speed Boating are also available from the same dock. 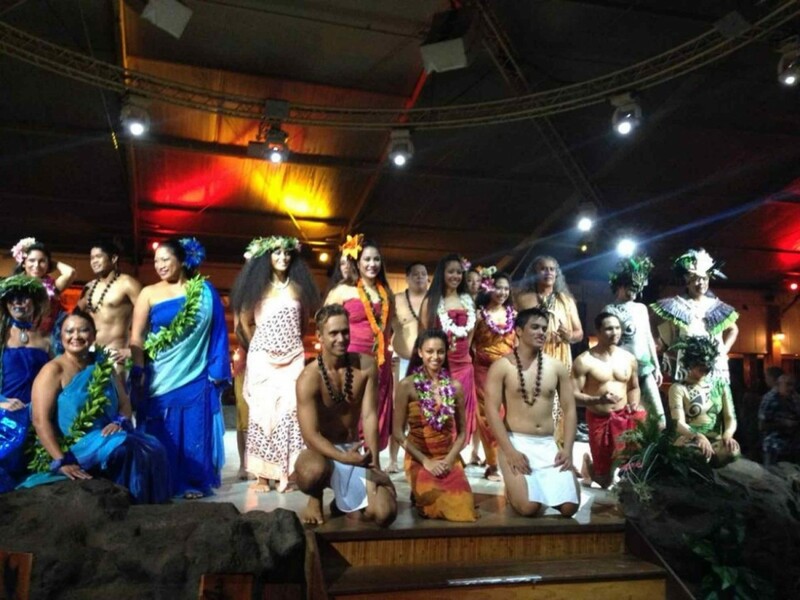 Within a mile you will find: Wailua Beach, Ancient Hawaiian ruins; a Hawaiian village; Opaeka’a Falls; Lydgate Park offering protected ocean swimming, a 2.2 mile jogging trail and Smith’s Tropical Paradise offering one of the best island Luau’s. Grocery stores, souvenir shops and most of the island’s restaurants are available within a 3 mile radius. 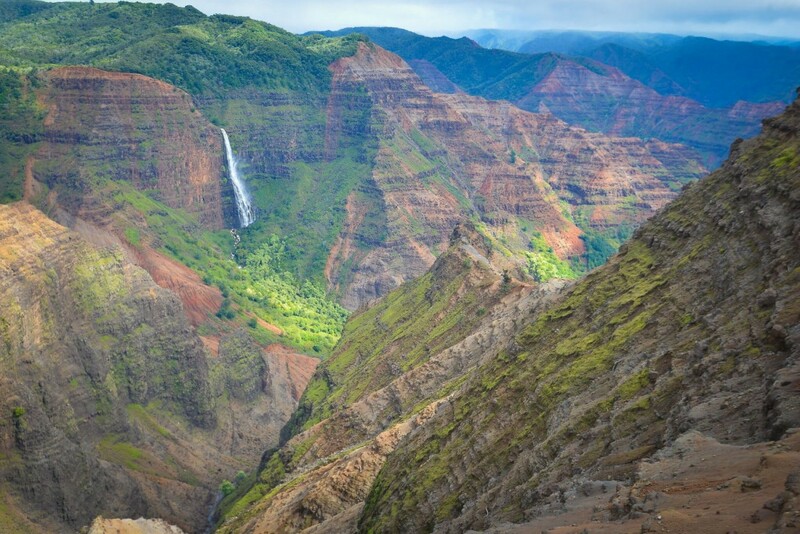 Further up the road is Kauai’s Hindu Monastery, an incredible place, set in an absolutely idyllic environment next to the Wailua River and a stupendous waterfall, a must see! 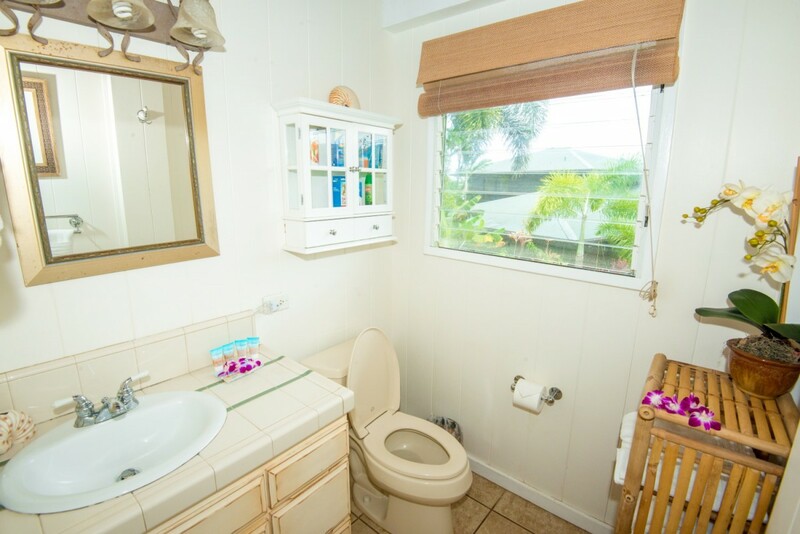 The airport is 6 miles away, the nearest town is Kapaa just one mile away and the road does not go all around the island which makes this property ideal. You can drive north or south and return to a location central to the island. 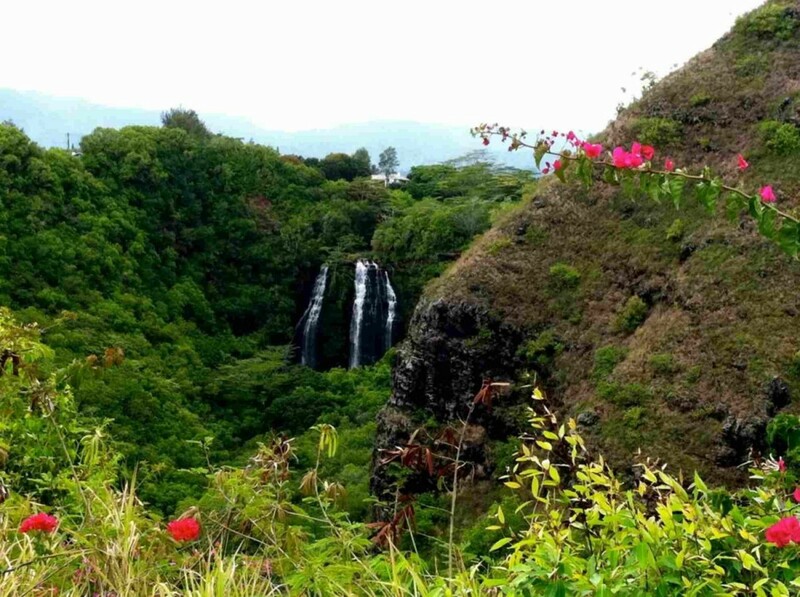 ***Trip Advisor*** We just returned from five days at Wailua Riverside Hideaway also known as Kauai Calls! 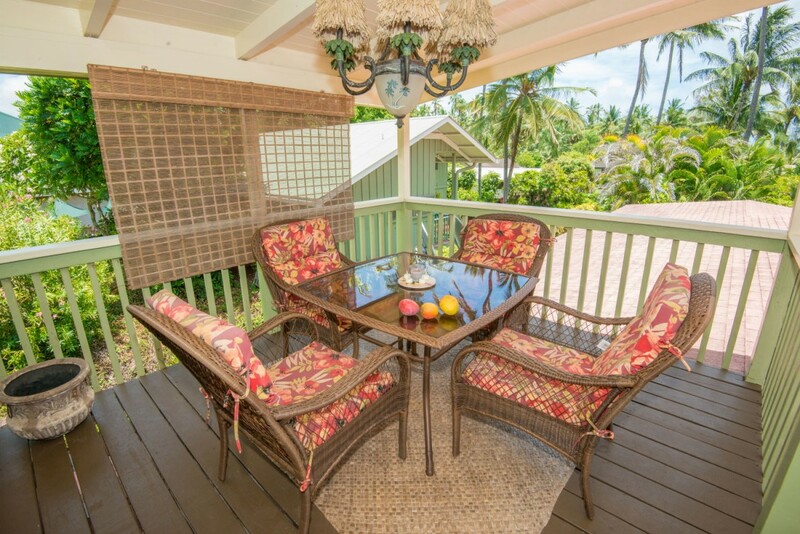 Set Your Heart Free It is a delightful four room efficiency on the Wailua river, on the east coast of Kauai. 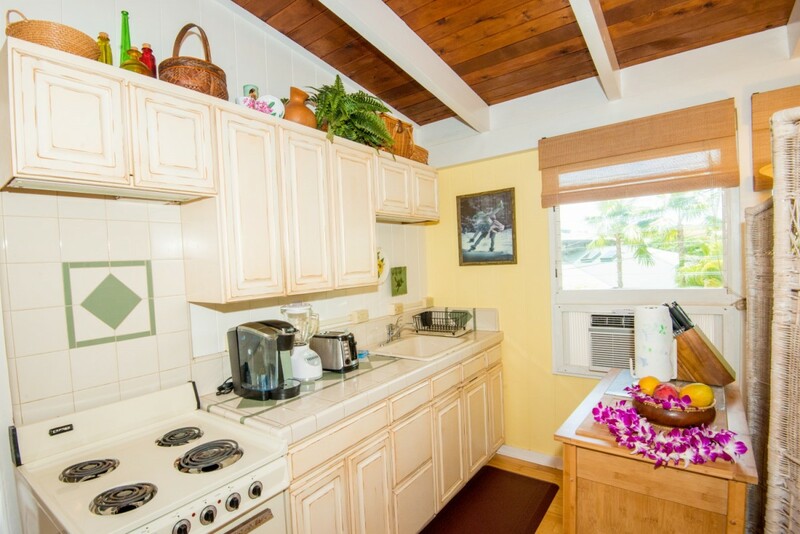 Full kitchen, fantastic elevated covered lanai. The place was squeeky clean, bright and airy to take advantage of the trades. Quiet, secluded and private, the lovely vacation rental has it’s own carport, access to full size washer and dryer, and something you seldom see, a modern efficient air conditioner (but with the trades, you don’t need it). You can even watch satellite TV if you just can’t let it go. There is a great collection of DVDs and VHS movies and lots of books. 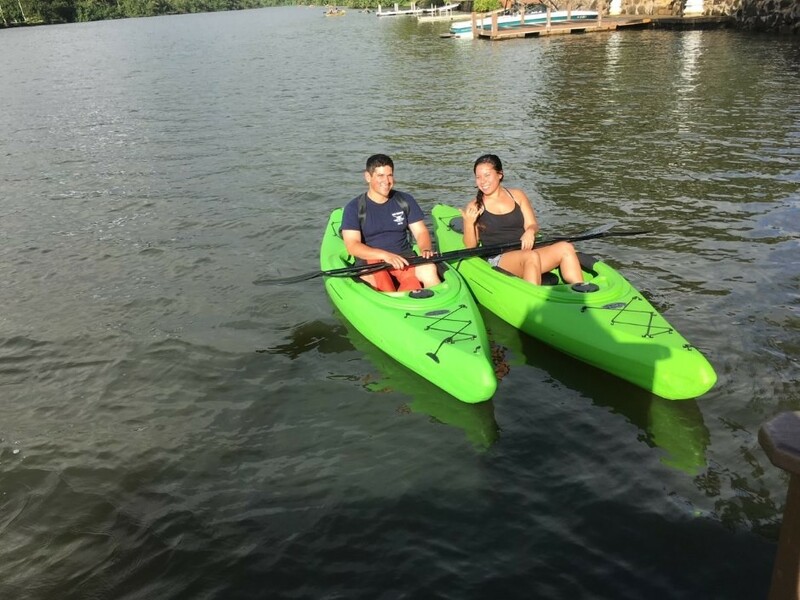 Candace has provided every type of recreation equipment you might need for the beach or the river, including a two place Ocean Kayak, paddles and PFDs, and a small dock to launch right on the tranquil river. Everything is nearby and yet you hear nothing at night but an occasional gecko, rooster, or the soft soothing music of the distant waves in Wailua Bay. 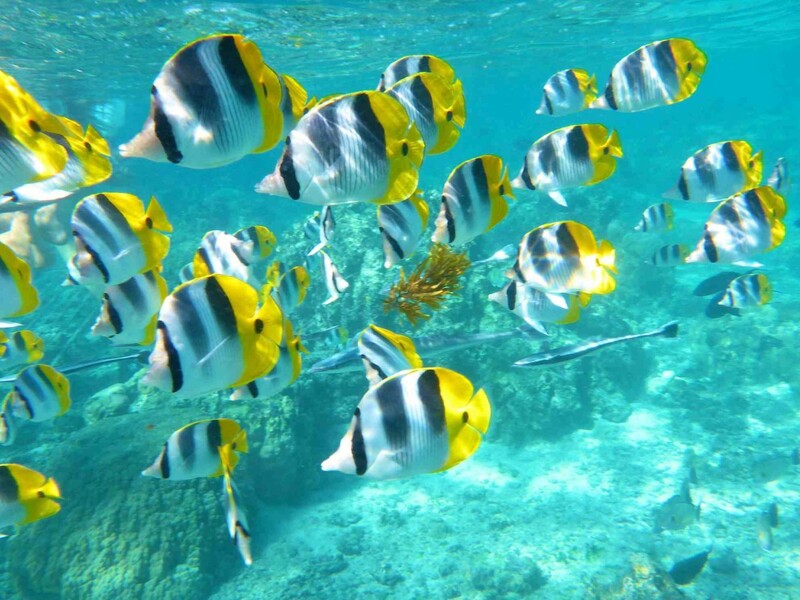 Lydgate park is less than five minutes and is the perfect place to introduce the ocean to your children. Calm, protected, warm waters with full lifeguard service, facilities and plenty of parking. A great place to walk or run in the mornings or evenings. Candace is a gracious hostess who allows you to be you. You have a completely private entrance, and yet she is available if you need her. She is the perfect kind of person to host such a place. She knows the island inside and out, real estate, culture, touristy stuff, and the best places to go. She is a transplanted kama aina who loves what she does. What a fantastic find after a couple horror stories on Kauai and other islands. My only concern is that too many other folks will discover this place and it will be hard to schedule. We are going back next year. Period. It is wonderful! Period. 3 Kayaks! 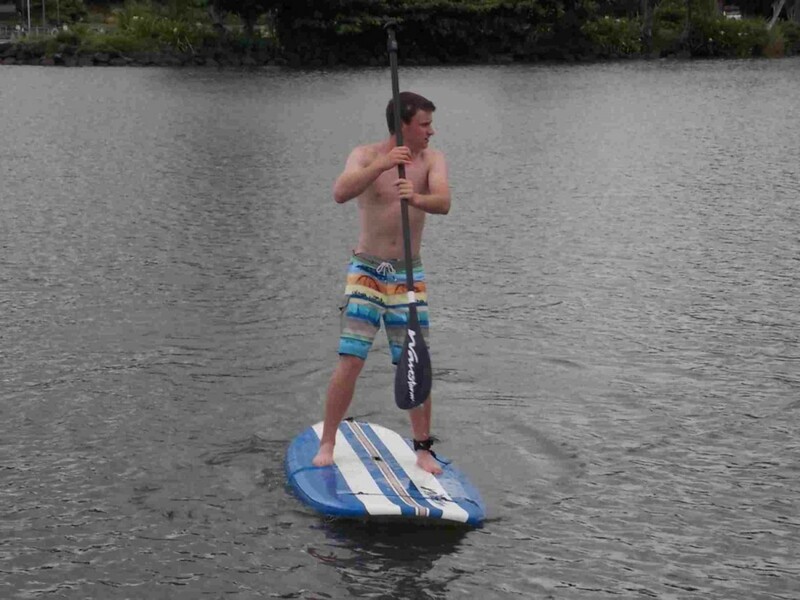 and 2 Paddle Boards! DVD with a variety of movies to choose from! 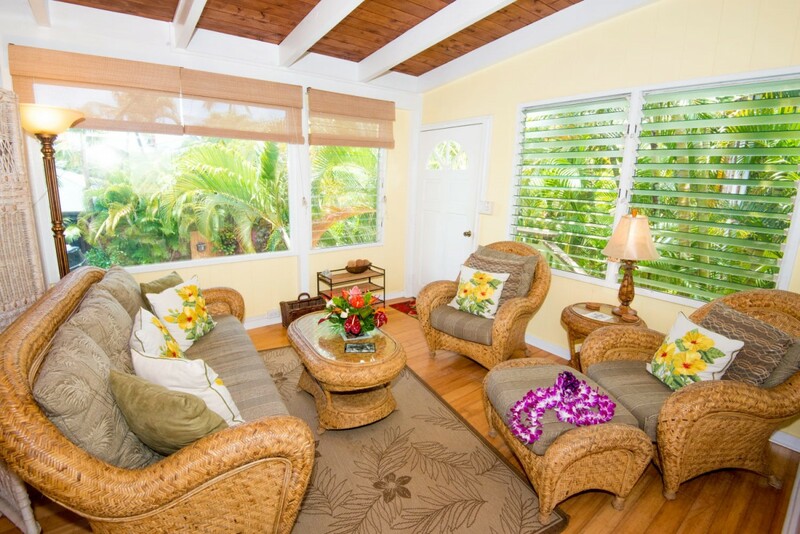 Please contact me with information regarding Wailua Riverside Cottage. This was the most wonderful place to stay. Candace started off our stay with a warm greeting and tour of the property. The cottage is immaculate and has absolutely everything you can imagine to make your vacation the best it can be. I can't imagine going back to Kauai and not staying here. This is my new home away from home. Thank you Candace for everything!!! Aloha and Mahalo!! Just LOVELY! Recharge your batteries peacefully here. If a tranquil retreat amongst swaying palm trees, close to all major amenaties is what you are looking for, this is your destination. This place sits in sweet spot on the island. 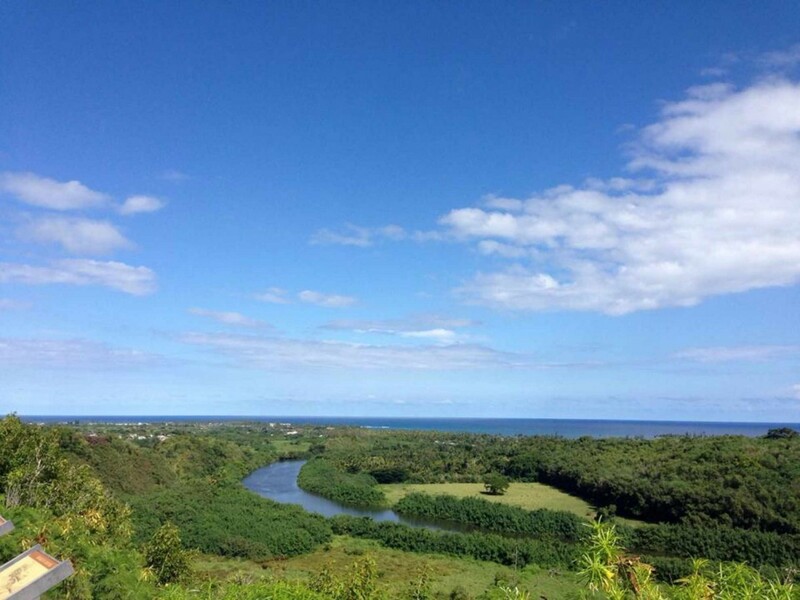 It's central location is perfect for visitors to the island but more amazing is the Wailua River that is at the foot of the apartment. We had a wonderful time and Candace goes the extra mile with many details, including having Leis for us upon arrival at her apartment. I will definitley be staying in this apartment again on our next visit. Thank you so much Candace for the wonderful week - you made our time extraordinary! Wonderful accommodations! We booked four nights and would have stayed longer had the river cottage been available. Candace was a warm hostess welcoming us with fresh leis. 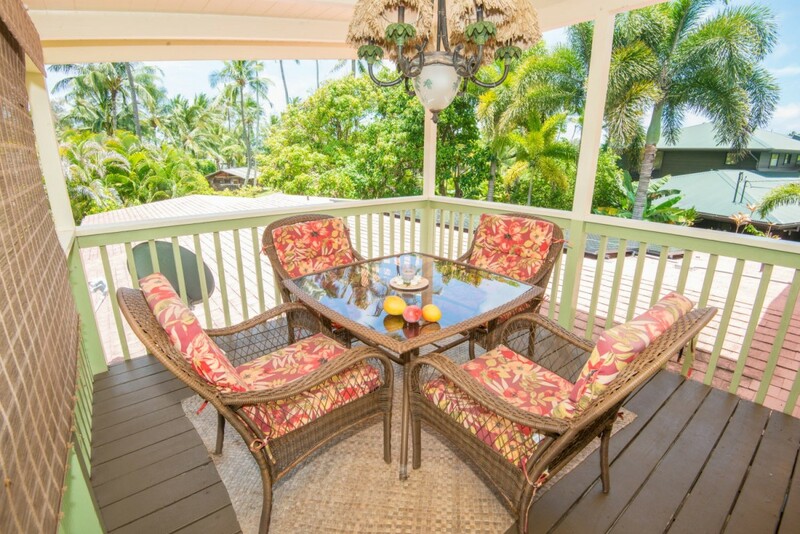 Wailua Riverside Cottage - AC, Kayak, Paddle Boards! We spent a wonderful two weeks at the Wailua Riverside Cottage. The location is in a safe neighborhood with direct access to the river. 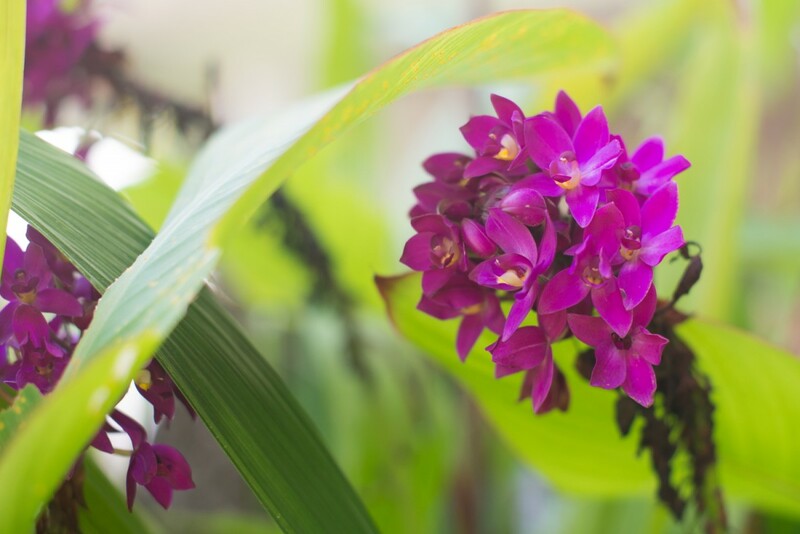 We like the Wailua location because it is an easy drive to the South Side, a 45 minute or so drive to the North Side and walking distance to Lydgate Park. Kapaa Town has a lot to offer as well. We enjoyed eating in at the cottage most night. The covered outdoor dining area, the fully equipped kitchen and the gas grill were perfect. The Fish Express and the expansive deli at the Lihue Safeway, as well as the many farmer’s markets offering local fruit and veggies, made dining in easy and delicious. Candace provides everything you need to enjoy the Cottage, the beach and the river. As frequent vacation rental travelers we really appreciate all the little kitchen extras, the nice mattress and bedding, and the travel books. The provided beach towels, chairs, umbrella, and cooler mean you can hit the beach immediately. We used the double kayak to visit Secret Falls and the single kayaks and paddle boards to just paddle along the river banks. So much fun! Thank you, Candace, for making this a memorable trip. We truly felt like locals while we were there. We loved our stay at the Wailua Riverside Cottage. It had everything we needed and were looking for. 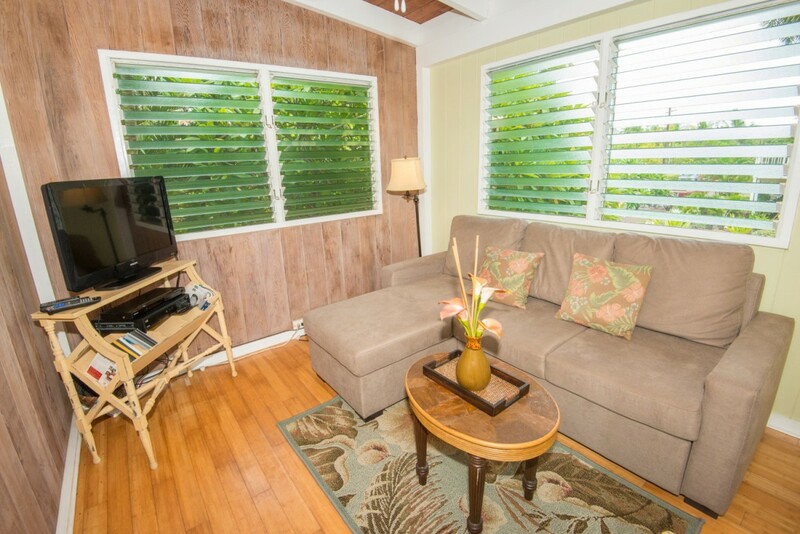 Beautiful Hawaiian decor, clean, comfortable bed and furniture in a quiet neighborhood. Perfect location, close to all attractions. Candace was a lovely hostess. Mahalo! A Soul Sister...After a long, tiring trip from Wisconsin, we arrived to be welcomed by a charming and warm woman. It made us feel at home - a feeling which persisted the whole 2 weeks we were at her cottage. We went upstairs to find not only fruit and bottled water, but a bottle of really nice French champagne! We were very pleased with everything - plenty of room to spread out, a fully equipped kitchen, a nice lanai even satellite tv where we could watch the Wisconsin football game at 7am. The location was perfect for us because we could visit the entire island without driving too far in either direction. Also, it was on a nice street with neighbors who were pleasant. Candace always was willing to answer questions and was always helpful. By the end of our two weeks we realized not only how wonderful the island was, but how much we had in common with our downstairs neighbor! Claude was especially delighted with the two cats - one of which was really friendly and had permission to sleep with us. We have wonderful memories of the island. A big part was meeting Candace. Thank you so much. October 2014: Cozy Cottage - This was our second stay with Candace at the cottage and we are already looking forward to our return. The space is a perfect size for a couple and is lovely and well maintained. 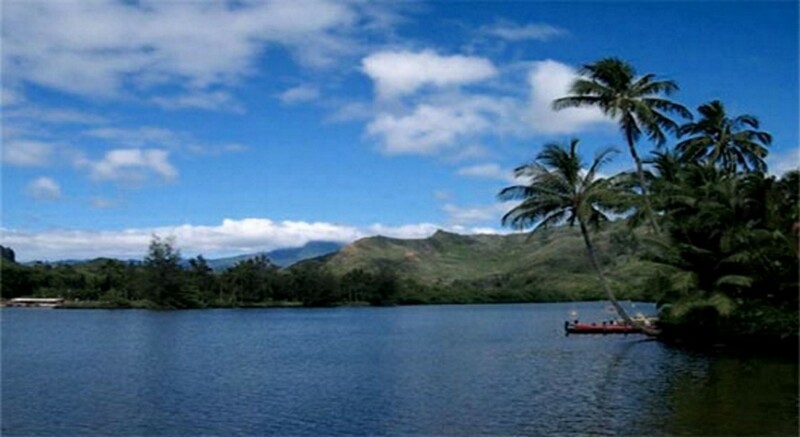 Having access to the Wailua River with use of the kayak and paddleboards is an awesome bonus. The central location makes access to both the north shore and the west side of the island a breeze. Most of all though, we appreciate the aloha that Candace brings to the stay. She is so lovely and welcoming with her smile and locally made leis. She is accommodating and helpful. 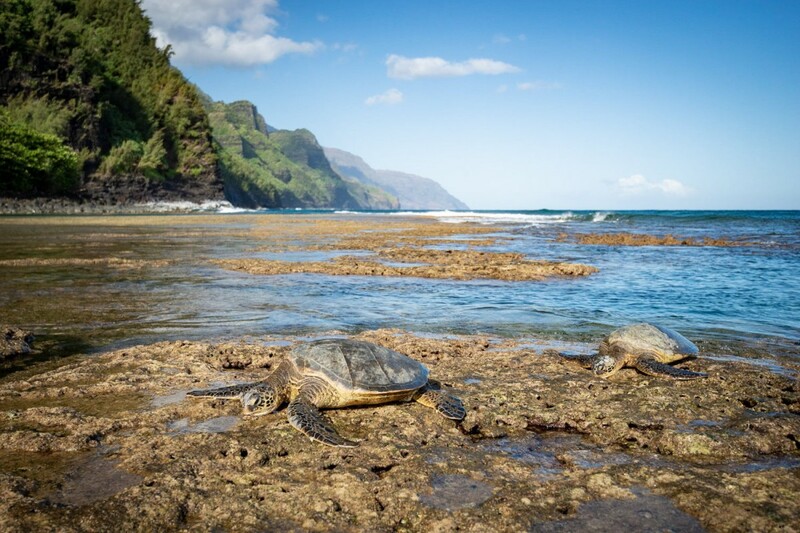 She is one of our favorite treasures on Kauai!